Woah, such beautiful snakes! And such a collection. All big 'uns. Do you have any tips or advice for a potential first time keeper? I'm trying to do as much research as I can, as I am well aware that it's a different story compared to keeping my ball python and boa. I am swaying more towards getting a dwarf burm if possible. amazing paint job! love the color and washed out parts. wow! he's amazing! i would not have thought that pattern would be the result. Thank you he's a beautiful boy good temper also never hisses at me . This would be my third snake, and I don't have any plans to add more to that. So that would mean that I would have the ball python, boa, and a burm. Yes, I did consider that - the importance of sourcing a dwarf burm breeder, as I can imagine that alot of people get caught out by snakes which are supposed to be dwarf, but end up growing to mainland burm size. I also agree with what you said about feeding slow and steadily, that is definitely my intention. If I find a suitable snake at the show in June, I can definitely see me coming home with one. Just a point but dwarf burms and even 50% dwarves are known to be more defensive/twitchy than their larger counterparts, and they're still a large snake. So if you're looking for a pet they may not be the best choice due to temperament. 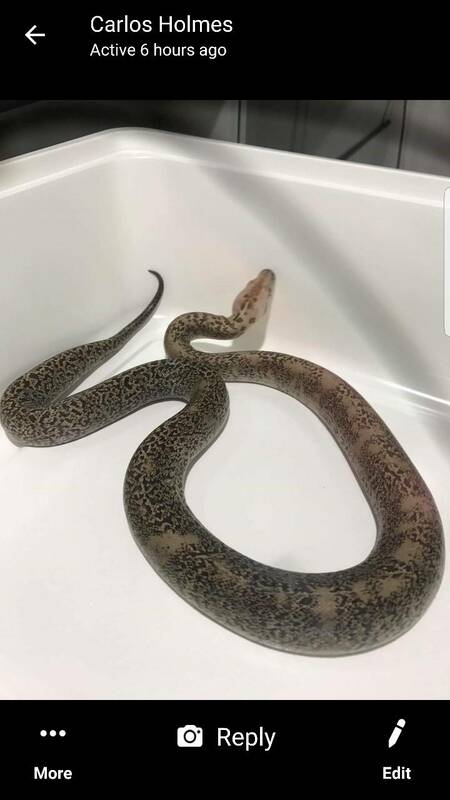 I would look at Dumerils boas or olive/Papuan pythons if you want something that will get larger than your boa imperator but will be better suited as a pet. Last edited by bcr229; 04-13-2019 at 09:39 AM. Thankyou - I'm glad you mentioned this, as I did forget that I had seen it mentioned about the dwarfs being snappier. I will take my time to think through all of the options. I know that I want a large python, and not another boa. The burmese is the one in my mind for sure. All I can do is research, and also consider the setup that I will need for it from when it is young all the way to adulthood. Well, that's the thing isn't it - There's no way of me truly knowing until I have one. It is just uncharted territory is all. I had my ball python, and he was the perfect beginner snake, then the boa came second. It worked well doing it that way around. I pretty much know that I want a burm. It's no good denying it to myself! I was looking at the possibility of the dwarf, but it seems that there are one or two reasons that maybe I should go with a mainland. I'll let you know what happens in the next couple months! 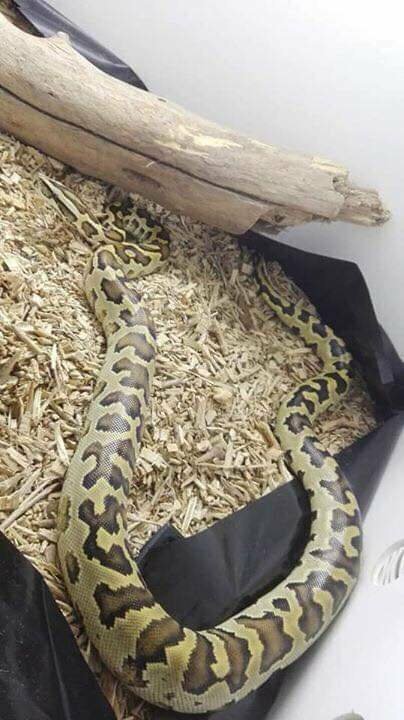 What are your opinions on viv sizing for an adult? Obviously, sizes and opinions differ, but I'm just curious on everyone's thoughts. Just considering everything right now. Last edited by FractalVision; 04-13-2019 at 05:10 PM. When they are smaller keep them in tub/rubs untill they are no big enough tubs to buy because there is no point buying different size vivs every year. I keep all my Burmese in tubs untill they outgrow them then i move them into 6ft or vivarium I have a 4 stack then If they need to be moved up again I have homemade 8ft vivariums that I house big females in but for the next 1-2 years. I wouldn't worry about vivarium size just yet make sure you buy a hatchling unless she is tiny you can start them of on large wieners keep him or her on them untill you think is sufficient and move up to smalls every 7-10 days your choice . But i would certainly go with a baby may be a albino green love the colours or if your only getting the one snake go for somthing abit better but don't buy a albino or a hypo buy somthing more exotic that you will take pleasure in looking at I can get you albino granite for £150 hypo albino labrinth het granite green for £200 look about the show for that special animal you will want to hold on to .